Multitasking is increasingly becoming a key trait to survive today’s changes in industry and a key figure in this is your mother, girlfriend, wife, daughter – the women. Women have always been brilliant at juggling tasks at the same time and have been a key aspect in today’s digital workplace. 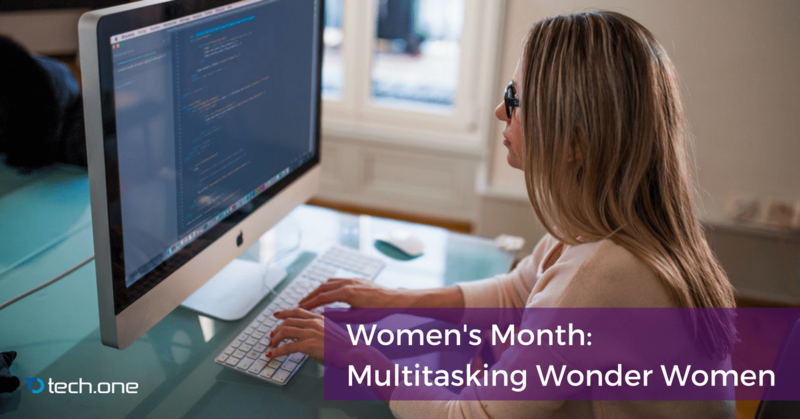 To celebrate women’s month and to give recognition to our workmates and family, here are a few reasons why technology and women go hand-in-hand in empowering an organization. The cloud and mobile adoption opened more ways on when and where a person can work. This proved to be a huge boon especially for women whose lives are filled with different roles on a regular basis. Bills to pay and documents to process? You have Enadoc ready to assist you in all your scanning needs. Female presence in the workplace is at an all-time high. Sure, it can still use some work but the presence of women in many male dominated industries in the past is now significant. The ability to work at anywhere at any time with tools like Office 365 and Enadoc are going to become a key in movements that push the recognition of their efforts and empowerment of a woman’s well-being. Empowerment comes with knowledge and it has been key in many movements for women empowerment. Our digitally disrupted world also brought with it more avenues to explore and hone knowledge within a click or in today’s context, a tap. Microsoft and Tech One Global recognizes this potential and supports the movement to empower women with the latest technology in communication, collaboration, and overall accessibility. “All of the most important challenges facing the world will require computer scientists to help solve them, and diverse teams find better solutions,” said Maria Klawe, president of Harvey Mudd. Diversity in the workplace is a must in today’s wave after wave of disruptions. A different background can do wonders in brainstorming and ideation especially in fields that have been highly patriarchal in the past. Thankfully, there are now many platforms where ideas and perspectives can all mesh together. Microsoft Teams is now Microsoft’s primary tool for collaboration, you can check our article here about its benefits for your organization. The recurring theme of this generation’s technology is communication. With Microsoft gearing up for more disruptive tools like Microsoft Teams and its overall its overall Microsoft 365. Collaboration is shaping up to be the key focus of many big names in the industry this 2018 and for good reason: a disrupted world demands a tight team that responds to it. Microsoft Teams and Enadoc allows anyone’s voice or “content” to reach broader and more significant audience than ever before. This allows ideas to surface. There’s an increasing skill gap in technology is becoming an issue on every industry leveraging on cloud, data, analytics, and artificial intelligence. This came from the abrupt changes brought by digital transformation. While it does have its drawbacks it also opened up new opportunities especially for women who are now well equipped with the proper knowledge and expertise in tackling the newest innovations in the workplace. Women are at their strongest when you put challenged by drastic changes. A good organization should be able to utilize their potential by giving them the proper tools to further hone their talents and improve them as assets to the organization. Tech One Global’s core is that passion creates innovation and women are known to have an abundance for it. They are an essential aspect of any organization that wants to create new things that and change the world. Women are superheroes and Tech One Global together with Microsoft believes that they will be central in the coming days ahead. I want to join, what should I do? Great! We are opening a message board just for this cause. We believe that by giving our heartfelt message and admiration, we are doing the most special way to appreciate and commend them.